Bob Saget did a show tonight in Calgary which I stupidly missed...and I am pissed about it. 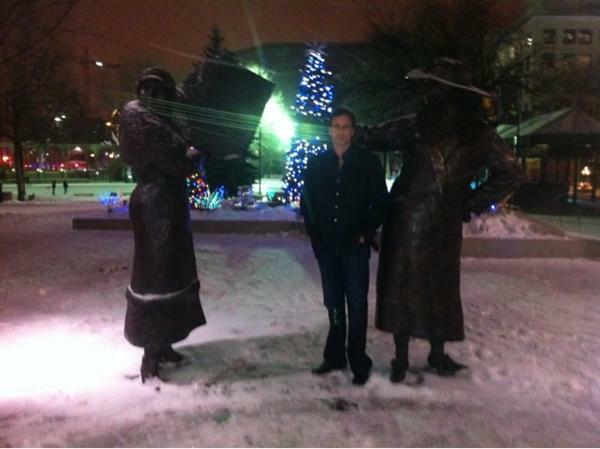 He was nice enough to tweet this picture of himself standing with the statues outside of the EPCOR Centre in Olympic Plaza Park. Did anyone see his show? Tell me was it amazing. Wait don't tell me...cause then I may be so upset that I might have to go cut myself.